This Alation Homes 1.5 story is open and light with soaring ceilings and gleaming hardwoods! The great room includes floor-to-ceiling windows and beautiful stone fireplace w/custom built-ins. The eat-in kitchen features gorgeous granite counter tops, top of the line appliances, & walk-in pantry. Large mud room off kitchen leads to Spacious 4-Car Garage! Main floor master suite w/spa-like bath and huge closet connects to laundry room & access to back patio. Additional main floor bedroom and three 2nd level bedrooms! 16801 Stearns Street (MLS #2145005) is a single family home located in Overland Park, KS. 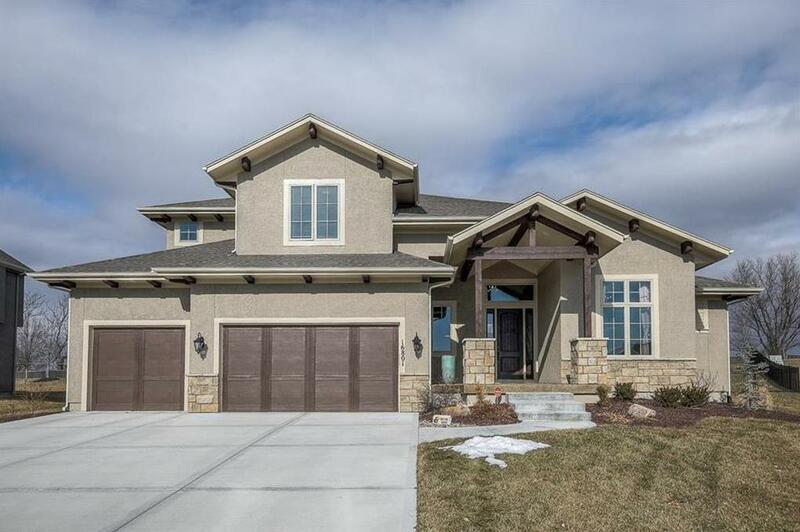 This single family home is 3,067 sqft with 5 bedrooms and 4.5 baths. This property was listed on 01/31/2019 and has been priced for sale at $649,900. Nearby zip codes are 66061, 66062, 66210, 66213 and 66223. This property neighbors other cities such as Gardner, Olathe and Stilwell.